(Cleveland)- White County election officials Monday had more to deal with than just preparing for the today’s election. A suspicious substance was received at the White Probate Court and elections office. White County Sheriff’s Captain Rick Kelley said in an email, an envelope containing the suspicious granular substance was discovered by an employee. There was no threat associated with the incident according to Kelley. The probate judge and his staff followed proper protocol and notified the security desk at the courthouse. 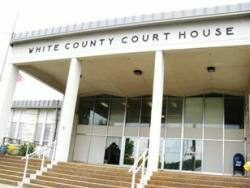 Kelley said the Sheriff’s Office contacted the FBI which responded to the White County Courthouse and collected the envelope along with the suspicious substance. According to Kelley the FBI’s testing equipment indicated that the substance was not hazardous. The incident is still under investigation.